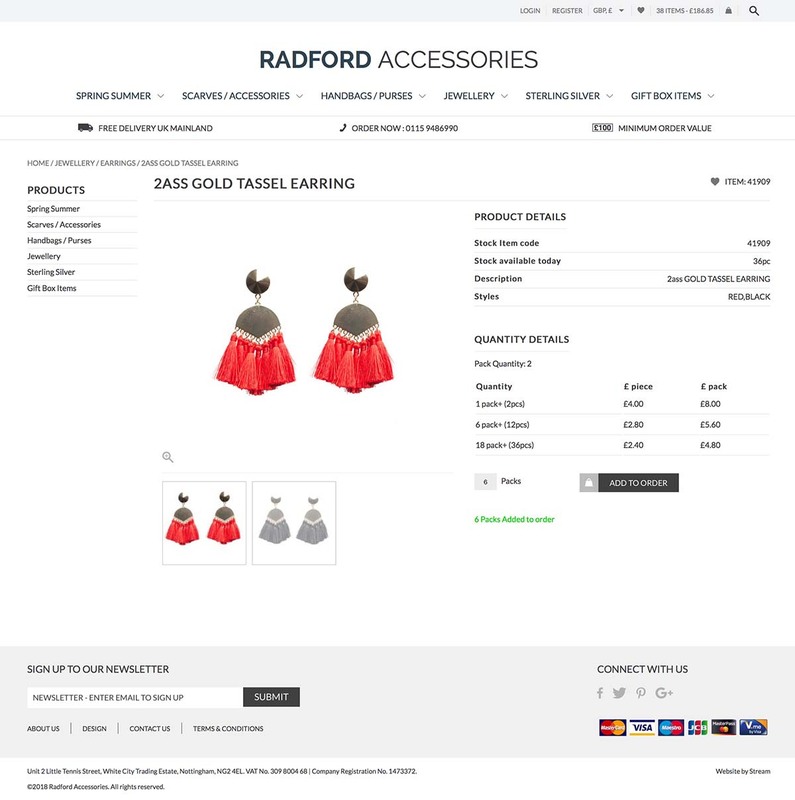 A long-established wholesaler of fashion jewellery, leather goods and accessories, Radford Accessories needed a clear ecommerce website to allow trade customers to quickly source and order goods from their large stock of over 2,000 product lines. 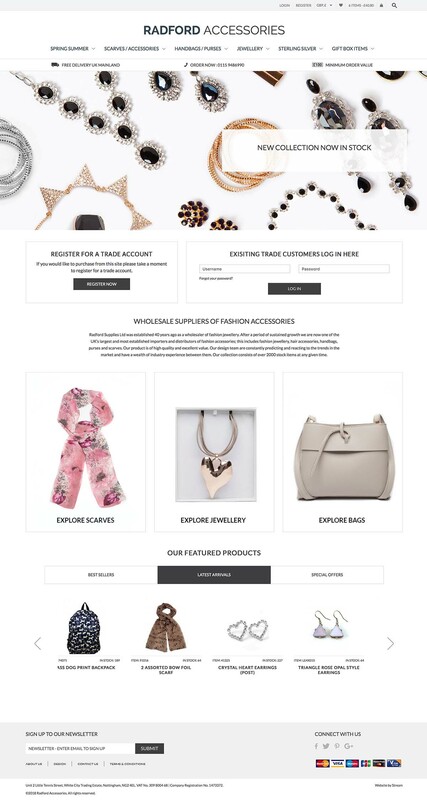 Aimed solely at a trade audience, the online store is broken down into clear categories with many filter options allowing account holders to easily source the products they require.  With product stock levels and quantity-based pricing displayed, purchasers can quickly add multiple product lines to their order.